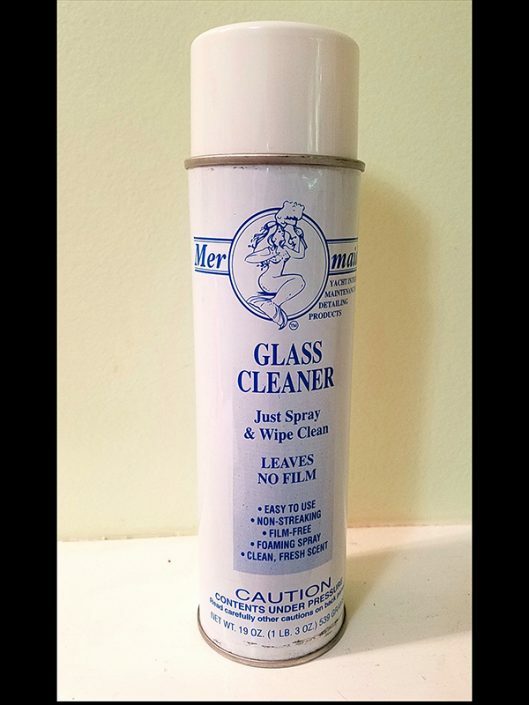 Mer-maids® Plastic Cleaner restores clarity and prolongs the life of plastic surfaces and helps hide scratches. It is anti-fog and anti-static. 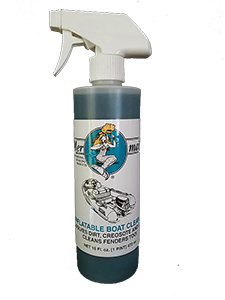 Cleans, shines and protects: boat vinyl windows, aircraft windshields, motorcycle windshields-fairings, cleans CDs and DVDs, Computer Screens, Greenhouse, Golf Cart windows, Convertible Windows and Plastic Mirrors, Home Appliances, Eyeglasses, Bathroom and Kitchen Faucets and Chrome. Plastic fabricators like using the cleaner due to its anti-static qualities. Museums use it on their acrylic displays. It also does a beautiful job on granite and marble. Tested and approved by AtoHaas®, manufacturer of Plexiglas®, and GE, manufacturer of Lexan® and Acrylic®. 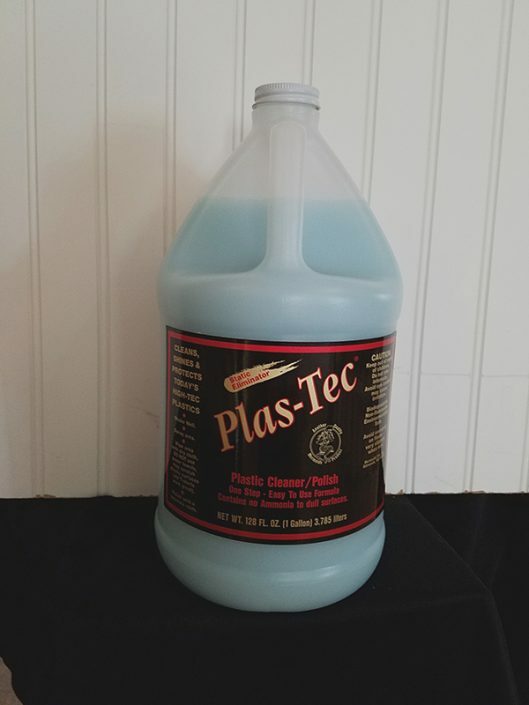 Also see Plas-Tec® . 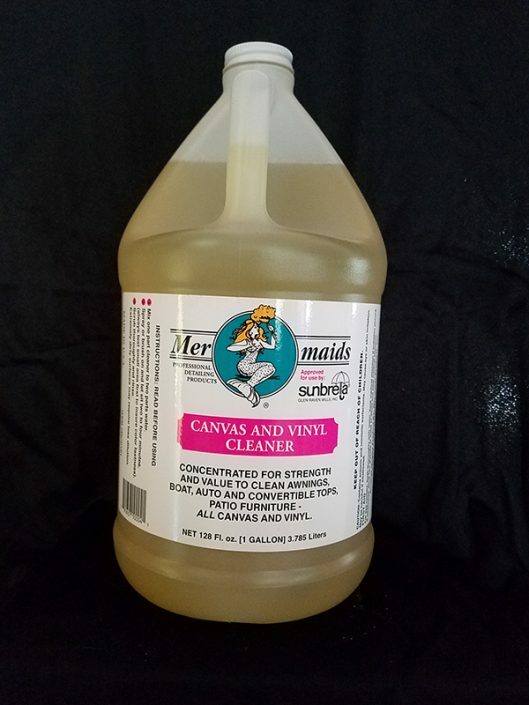 Mer-maids® Canvas and Vinyl Cleaner cleans canvas, vinyl and Sunbrella® fabric. Removes mold and mildew, color safe. Cleans Sunbrella® fabric without removing sizing. Concentrated. Cleans boat tops and cushions, mooring covers, auto seats and convertible tops, patio furniture. 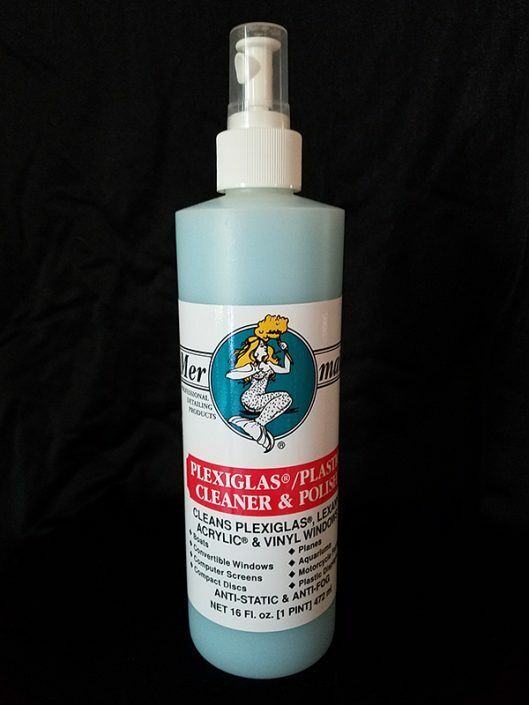 A great all-purpose cleaner! Tested and approved by Glen Raven Mills, manufacturer of Sunbrella® fabric. 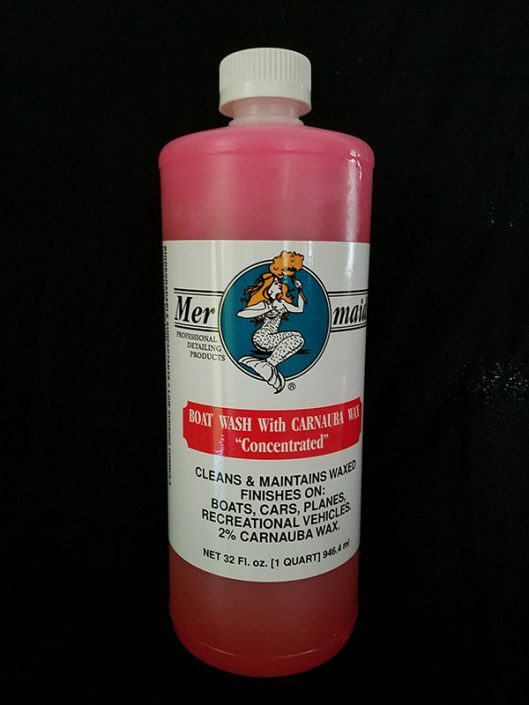 Mer-maids® Boat Wash with 2% Carnauba Wax ,a mild wash and wax formulation, leaves a water beading shine after every use. Helps retain that newly waxed finish. Biodegradable boat soap that’s low sudsing, concentrated and pH neutral. You can depend on it being environmentally friendly. Cleans boats, cars, planes and RVs. 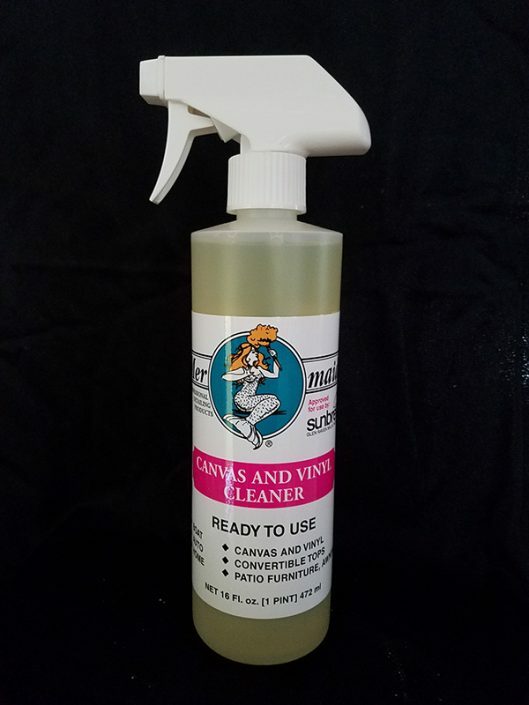 Mer-maids® Citrus Wonder is a d’limonene based stain and spot remover. Removes greasy soils from engine parts, bilges, cement floors, and clothing. Environmentally friendly organic formula contains no petroleum distillates. Industrial strength, use it in place of harsh solvents. 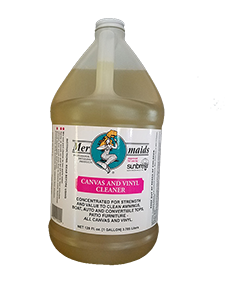 Mer-maids® Serious Soap is powerful concentrated formula that removes hard to clean stains, scum, oil and grease from any washable surface. Serious soap is tough, non-caustic, phosphate-free and safe. 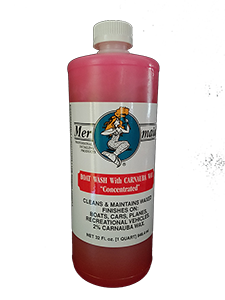 Mer-maids Serious Soap will help you get the boat ready for the wax! 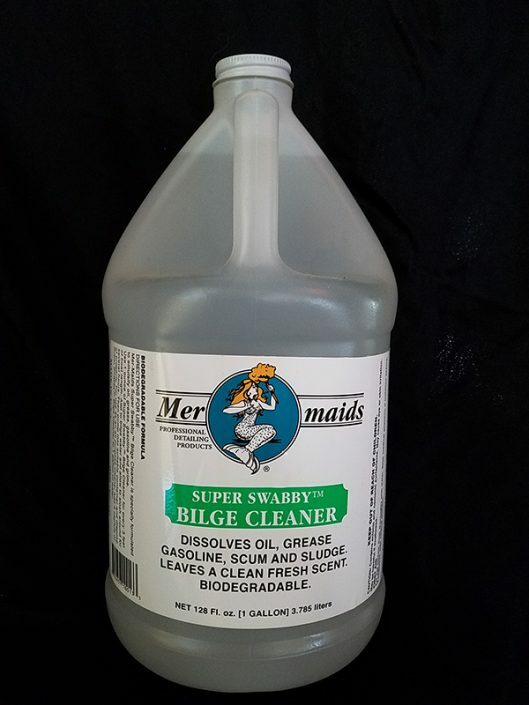 Mer-maids® Super Swabby Bilge Cleaner cleans bilges, emulsifies oil, grease, diesel fuel and scum. High surfactant formula holds dirt and petroleum products in suspension longer. 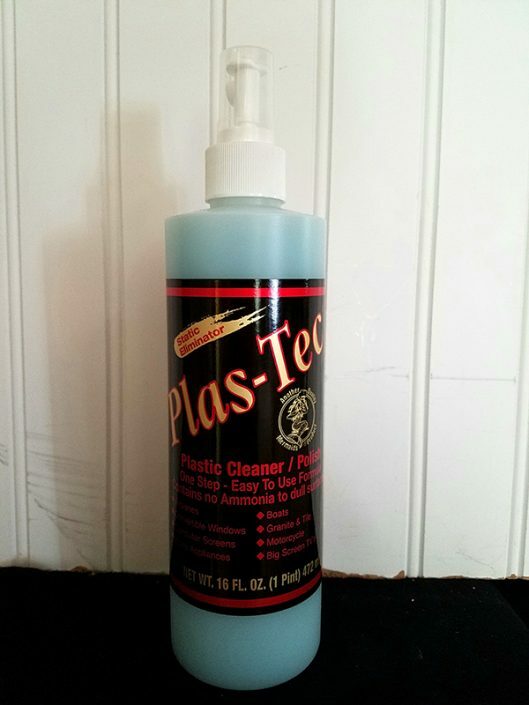 Plas-Tec® Plastic Cleaner is the name under which we sell our plastic cleaner for the general purpose market. 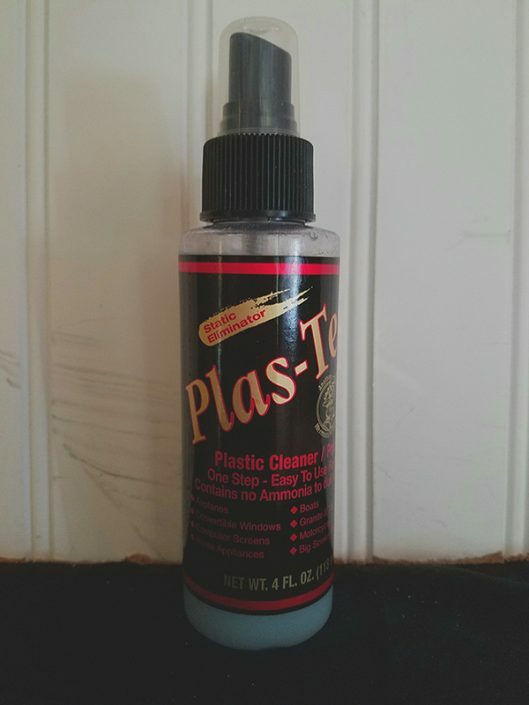 It restores clarity and prolongs the life of plastic surfaces. Helps hide scratches. It is anti-fog and anti-static. 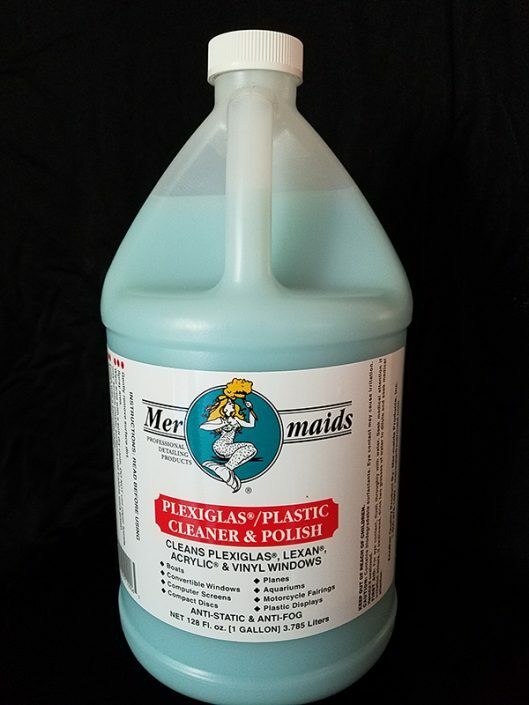 Mer-maids® Plastic Cleaner is the same formulation/product as Plas-Tec®. 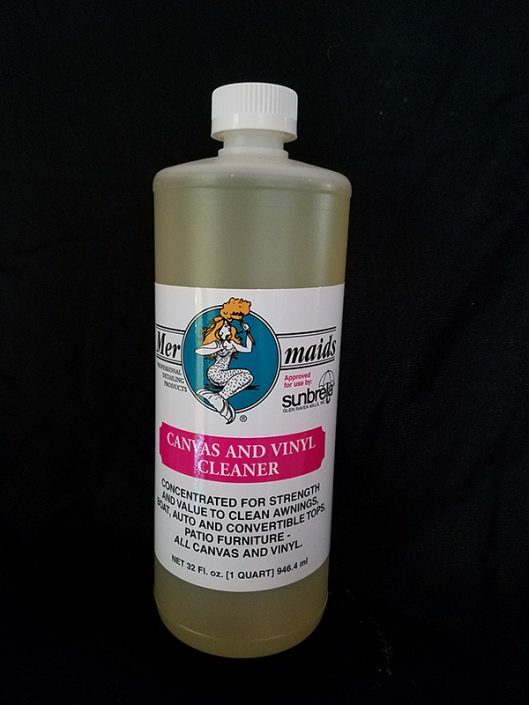 Cleans, shines and protects boat vinyl windows, aircraft windshields, motorcycle windshields and fairings, cleans CDs and DVDs, computer screens, greenhouses, golf cart windows, convertible windows and plastic mirrors, home appliances, eyeglasses, bathroom/kitchen faucets or chrome. Plastic fabricators like using the cleaner due to its anti-static qualities. Museums use it on their acrylic displays. It also does a beautiful job on granite and marble. Tested and approved by AtoHaas®, manufacturer of Plexiglas®, and GE, manufacturer of Lexan® and Acrylic®. 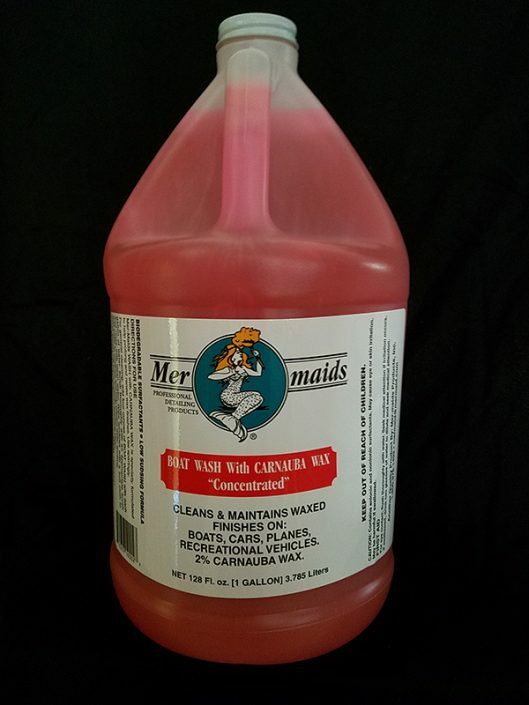 Also see Mer-maids® Plastic Cleaner.